It happened again, a previously unknown spider species, whose home is a strongly humanised European country, appears to have been quietly and patiently waiting to get noticed until very recently. 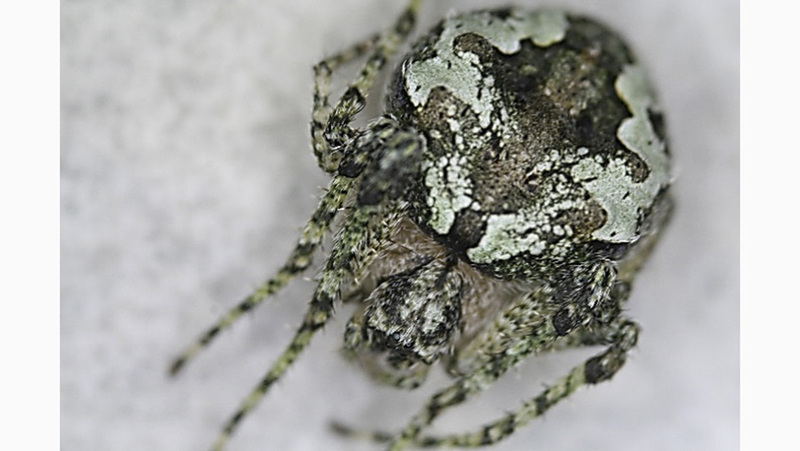 Living on the trunks of oaks in Spain, the new species would have probably been spotted decades ago, had it not been for its sophisticated camouflage, which allows the small arachnid to perfectly blend with the lichens naturally growing on the tree. Going by the name Araneus bonali, the new species was discovered on isolated trees at the borders of cereal fields by the scientists Eduardo Morano, University of Castilla-La Mancha, and Dr Raul Bonal, University of Extremadura. Their study is published in the open access journal ZooKeys. Curiously enough, this is the same habitat, where the team found another new spider in 2016. “How many new species remain unknown in these isolated oaks that once formed vast forests now becomes one even more intriguing question,” say the researchers. Lichens growing on an oak trunk at the study site in central Spain. The similarity between the adults and the lichens that cover the oak trunks they inhabit is remarkable. Meanwhile, the greenish juveniles live amongst the green new shoots in the oak canopy until they reach maturity. Whether the spider uses its mimicry to avoid predators or rather surprise its prey remains open for further investigation. The description of this new species that belongs to the popular group of orb-weavers once again stresses the need of working harder on completing the list of spiders living in the Old World, such as the countries in the Mediterranean basin – a region that certainly keeps more taxonomic surprises up his sleeve.